January can feel like a gloomy month – the weather is miserable, the excitement of the festive period is over and summer seems like a long time away. But what can brighten things up is a special getaway. 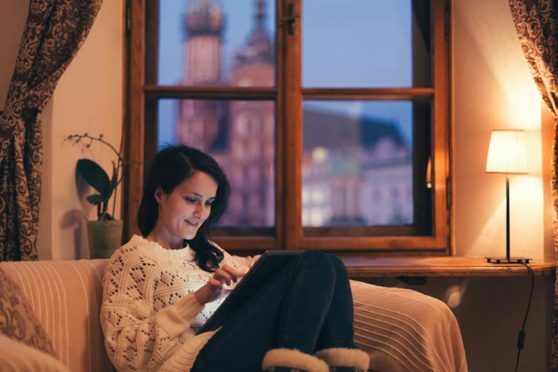 Whether it’s a Valentine’s treat or you are just looking for something a wee bit different, our ideas will give you some inspiration for your next getaway. If you are looking for a quiet and relaxing place to unwind, look no further than Highland Perthshire. The perfect place to spend a week or a weekend, Erigmore’s ever popular luxurious Highland and Boutique Spa Lodges in the heart of Highland Perthshire offer the chance to simply relax and unwind in style. With an extensive open plan living space inside and a contemporary outside decks – complete with your very own Hot Springs hot tub – there is space aplenty to really let yourself breath. Hot tubs are installed in one and two bedroom lodges at Erigmore, so couples and friends can enjoy a soak, surrounded by stunning woodland and scenery. The Erigmore facilities also include an indoor pool, sauna and Jacuzzi to help you unwind – if you can drag yourself out of your hot tub that is! Set within Perthshire’s ‘Big Tree Country’ Erigmore Estate is the perfect place to escape to, explore the beautiful countryside and experience the very best in quality holiday accommodation. Enjoy walks along the River Tay soaking up the breath taking surroundings you will find yourself in the heart of Perthshire on the doorstep of the finest natural scenery Scotland has to offer. Pets are also very welcome to stay with you – look for the dog symbol when booking your lodge as some these lodges are suitable for pets. With many areas to explore with your four legged friends, the on-site leisure facilities will offer a welcome chance to relax and unwind. With pubs and dining options in the towns and villages nearby, a stay at Erigmore offers the very best in luxury and relaxation. Click here to book or find out more about Erigmore. 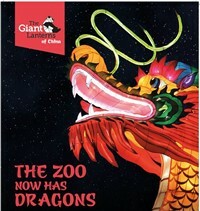 The Giant Lanterns of China return to Edinburgh Zoo this winter. Join Whytes Coach Tours for a new and exciting adventure as Scottish myths, ancient Chinese legends and incredible creatures come to life. Escape into a world of folktales and fantasy with over 450 beautifully crafted lanterns lighting a magical trail through the zoo. For 50 legendary nights, the zoo will be home to unicorns, giants, kelpies and even the Loch Ness Monster, alongside animals past and present. This unique and special event also includes handmade crafts from Chinese artisans in the festive marketplace and seasonal hot drinks and snacks to keep you warm. Fare Includes travel to and from the zoo (departing from Skene Street, Aberdeen), a self service morning coffee stop, entrance to the zoo, a trip to the Gyle Centre, entrance back at the zoo for the Giant Lanterns of China. Adult tickets are £48, while children under 12 are £38. Click here to book your trip with Whytes. This is a truly unique opportunity to enjoy an evening of indulgence with Fonterrafredda Wines, European Winery of the year in 2017. On Wednesday February 13 2019, be guided by your wine ambassador and enjoy wines which are matched to an extra special six course tasting menu prepared by awardiwinning Executive Chef David Barnett in Fonab’s 3 AA rosette restaurant ‘Sandemans’. In 1858, the Fontanafredda estate was bought by Vittorio Emanuele II as a gift to his mistress Rosa Vercellana, also known as “La bela Rosin”. By 1870 wine-making in the cellars of Fontanafredda began, although the first mentioning of a Barolo Fontanafredda dates back to 1867. Today Fontanafredda wines reflect the true tradition of the Langhe, to preserve the distinctive and typical characteristics of the grapes they are made from. 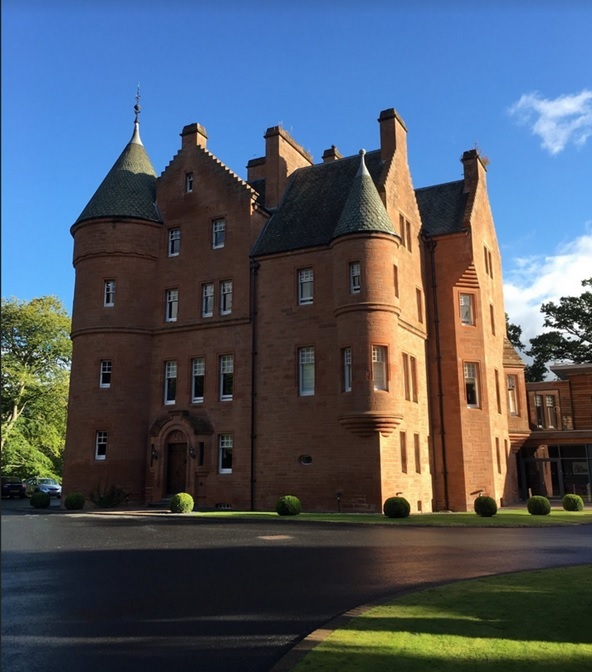 This special evening includes overnight accommodation, as well as your dinner and wine pairing, full Scottish breakfast the next morning and use of the swimming pool, thermal suite and spa pool. Prices are from £475 per room, based on two people sharing, subject to availability. Terms & Conditions: Fully pre-payable at time of booking, non-transferable and non-refundable. Offer based on two adults sharing a double or twin room. Subject to Availability. For further details, visit the Fonab Castle website. If you have someone who loves crafting, a trip to the Creative Craft Show is a must. The Creative Craft Show is a haven for knitting, cross stitch, paper crafting, jewellery and dressmaking and stitching enthusiasts, offering all the very latest supplies, ideas and innovations in the hobby world! You’ll find everything from kits, charts and patterns to fabrics, yarns, threads and buttons plus opportunities to glean advice from industry experts. The Scottish Quilting Show area is a fabulous showcase of the finest patchwork and quilting, and highlights the wonderful work of Scottish quilters. Enjoy exciting exhibitions that encourage all aspects of this delightful and wonderfully creative art form. 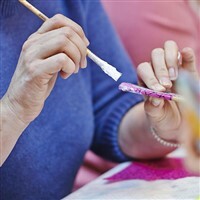 There’s talks, competitions, demonstrations and workshops – a true patchwork paradise! Fare Includes travel to and from the SEC in Glasgow (departing from Skene Street, Aberdeen, with other collection points available), self service morning coffee stop and entrance to the Creative Craft Show. The fare is £35 for adults and £25 for children under 12 years old. Book your tickets at the Whytes Coach Tours website. Treat your loved one to a romantic and truly memorable stay at Atholl Palace and escape from it all! The Valentine package is inspired by romance and from the moment you arrive the team will ensure your every whim is fulfilled. Wander hand in hand through then stunning grounds and then relax by the hotel’s log fires. Your stay will include arrival on Saturday, February 16, with chocolates in your room. From 7pm you can make your way to the Atholl Suite for a romantic three course candlelit dinner with a bottle of sparkling rose, then dance the night away to the amazing Funk Nation. 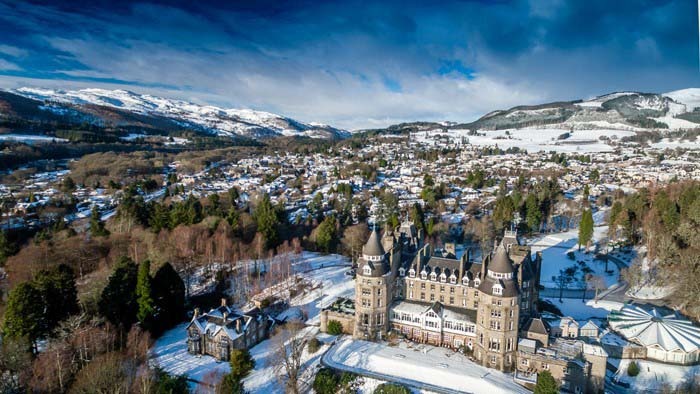 The next morning, you and your special someone will enjoy a scrumptious Scottish breakfast in the Verandah restaurant, which has stunning views of the Tummel Valley. Your Valentine’s stay is from just £239 per couple. Find out more at the Atholl Palace website.